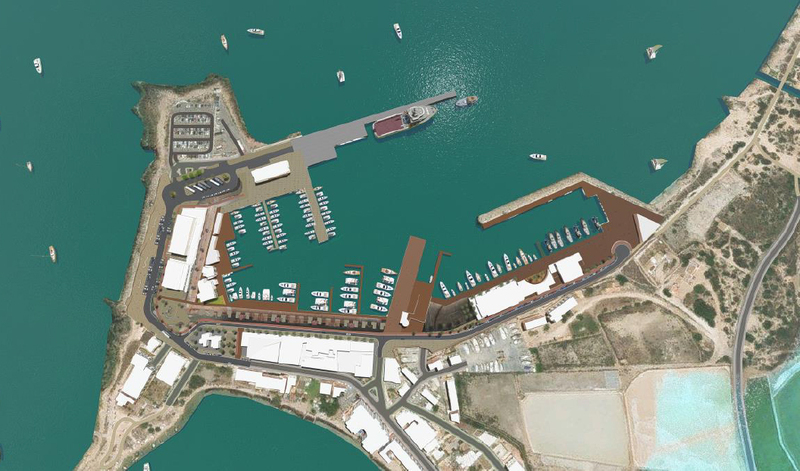 The Port Authority of the Balearic Islands (APB) has put out to tender the works contract of the beautification plan for la Savina Port, which aims to install infrastructures that are better tailored to meet the port's current needs and more comfortable for its users. Specifically, work will be carried out to redevelop the sea front of the Formentera port in order to optimise the surroundings for the benefit of locals and visitors. This improvement project, which is currently in an open tender process and is expected to get under way after the peak tourist season, will focus on conditioning the roads and pedestrian areas around the port after completing the first phase of improving and adapting the car park area located at the north side of la Savina Port. The investment budgeted by the APB for the project covering the "Conditioning of roads and pedestrian areas" at la Savina Port is €6,769,988.46 and works are expected to last 10 months. The deadline to submit tenders is 23 July 2018. Those interested can submit their bids via the APB's Port for Electronic Tender. The completion of works at the new la Savina Maritime Station in 2006 and all these years of use highlighted that the gradual increase of users has called for action to optimise the flow of passengers and vehicles that access this station on a daily basis. In order to meet these needs, plans have been drawn up, firstly, to condition the car park area located at the north side of la Savina Port, creating two car park strips (cars and trucks) at the same level and rearranging internal traffic inside the car park. Secondly, and in order to enhance pedestrian areas, homogenise the whole area and provide Formentera's residents with an area at the port where they can enjoy spending time, the beautification plan includes the conditioning of roads and pedestrian access areas.